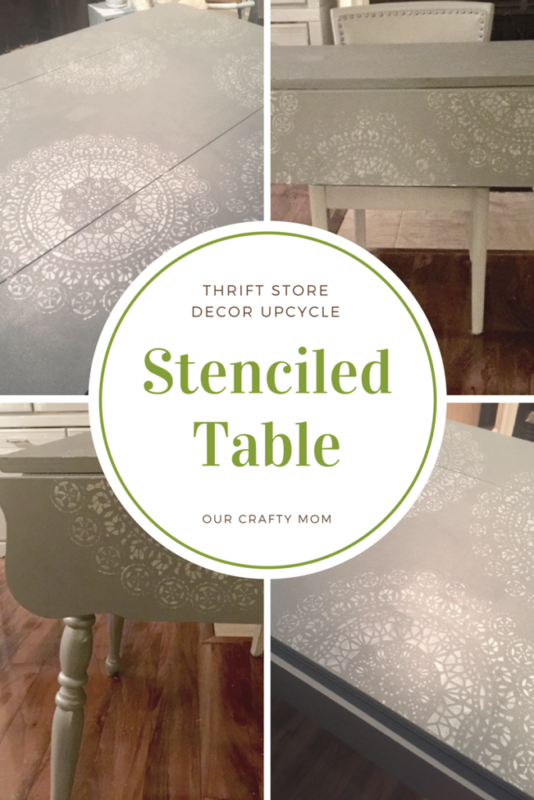 It’s time once again for our fun thrift store decor upcycle challenge and I’m sharing a stenciled table! This cool thrift store table was found at my favorite shop for $10! I love that it is a drop leaf style, which is so handy for apartment living or small spaces. These tables are perfect for a buffet style dinner party placed against a wall and opened on one end for additional room. I knew I could refinish this piece with paint and a beautiful stencil. I gave it two coats of Pure & Original Paint in Pigeon Grey. Just painting it and covering up the laminate already made a difference. 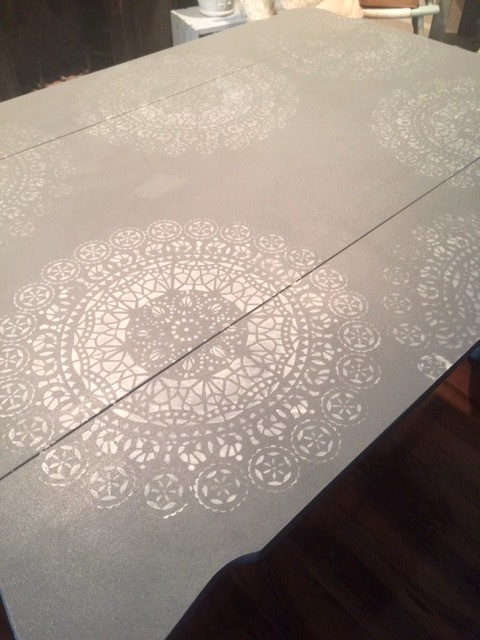 This beautiful laser cut stencil was applied with Country Chic Metallic Cream in silver bullet to give it some interest and transform it from just a plain table to a unique piece that looks great opened or closed! Finally, I finished it with my favorite Daddy Van’s Beeswax in lavender. This stuff smells amazing! I love how the metallic looks different in different angles and lighting. Thank you for visiting Our Crafty Mom! 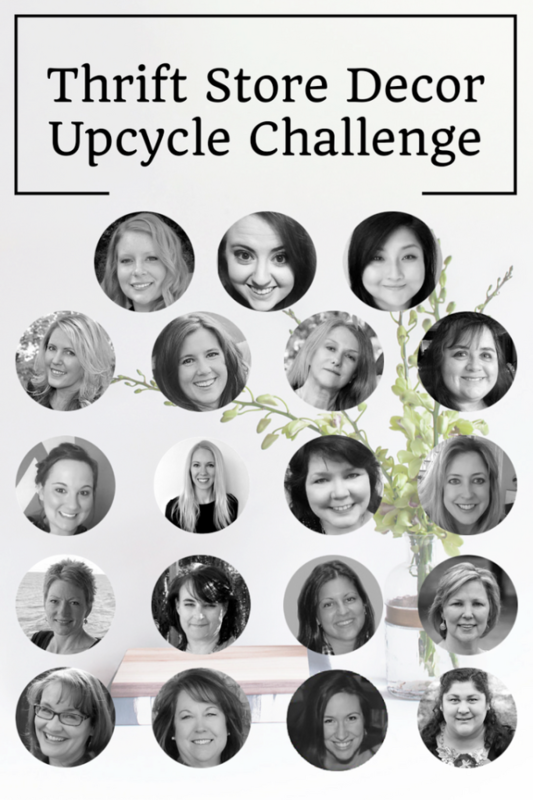 Don’t forget to check out the great projects shared by my fellow bloggers. Wow $10?! What a steal!!! That stencil you chose is really cool. What a great transformation! Glad to be linking up together and to see all these awesome projects! Wow what a find. And wow what a beautiful makeover. I really love how this turned out. The stencil is subtle enough and adds character to the piece! You table is gorgeous. I love the look you gave this table. It’s perfect. Thank you for sharing at Dishing it and Digging it link party. We love having you. Sooo pretty, I love the colours and that lavender wax sounds lovely. This table makeover is so pretty, Michelle! I love the colors and the stencil pattern. What a great transformation. Pinning. Thanks for partying with us at Snickerdoodle! Beautiful! I love the metallic paint you chose. It’s subtle, but gives the table the little bit of bling it needs to stand out! Wow. This looks great. I’d love to try a project like this! This is beautiful! I love stenciled work. You did a remarkable job again. You really got a fabulous deal for $10 and now it’s a really nice addition to your home. I like those drop sides! 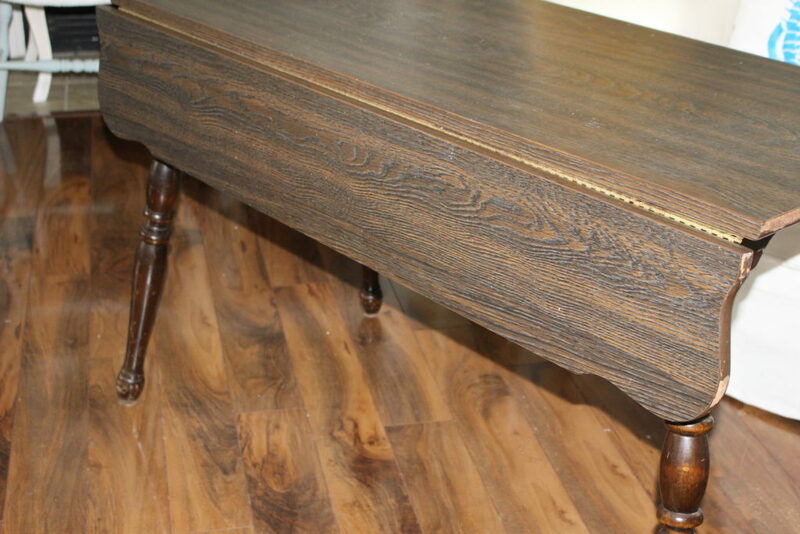 Love your beautiful table upcycle! The table is so pretty! What a great buy on the table! I love the stencil you applied to the top; it looks fantastic! Michelle, that table looks awesome!! Love the contrast of the metallic paint with the gray paint. 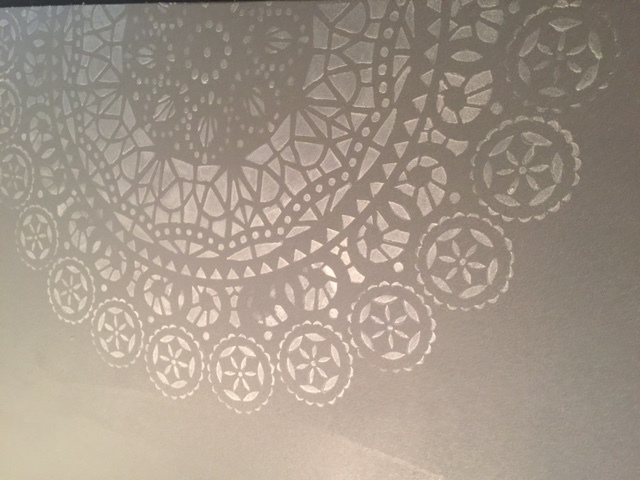 The stencil is really cool and it gives character to the table. I absolutley love this table, I have something very close to it and would love to try that color grey. That is absolutely gorgeous! 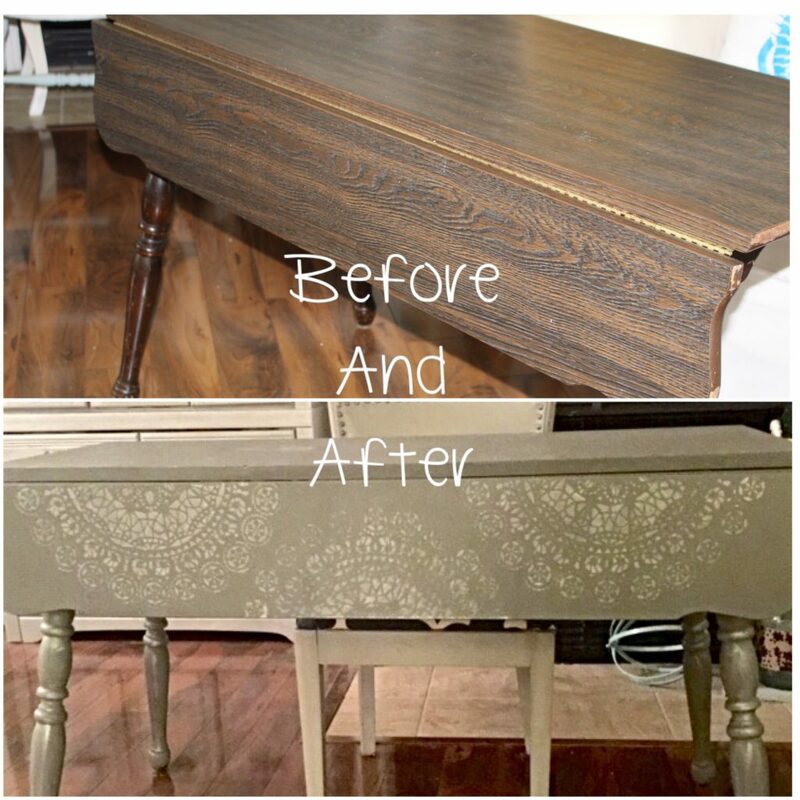 I love all your furniture makeovers…so creative and inspirational.